Bissell is undoubtedly one of the most recognized vacuum cleaner manufacturers on the planet. 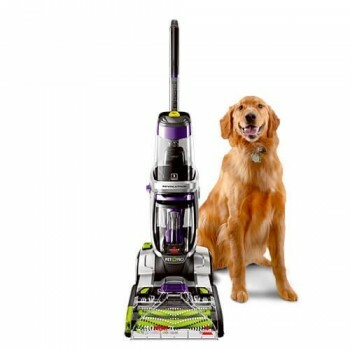 The company is widely known for the Bissell pet vacuum. You can guarantee that the best Bissell vacuum for pets is going to get rid of all of the pet hair and dander in your home. Just remember that the company offers a wealth of amazing vacuums. Within this guide, you will discover in-depth Bissell pet vacuum reviews, so you can find the right one for your individualistic needs and preferences. Bissell is one of the longest running manufacturers of vacuum cleaners. The business kicked off in 1876 when Melville R. Bissell and his wife, Anna, got sick and tired of cleaning up the sawdust from their shop’s carpet. Melville created and patented a unique sweeper. Before too long, locals were sweeping them off of the shelves. Melville passed away in 1889. When that happened, Anna became the first CEO in America. She pushed hard and helped to make Bissell one of the leading brands in the world. In fact, Queen Victoria once claimed that she used her Bissell in the palace every week. Unlike many of its competitors, Bissell is actually a family-owned business. The company understands that consumers gain peace of mind when they’re able to keep their home clean. This is why they go above and beyond to develop the highest quality vacuums on the planet. 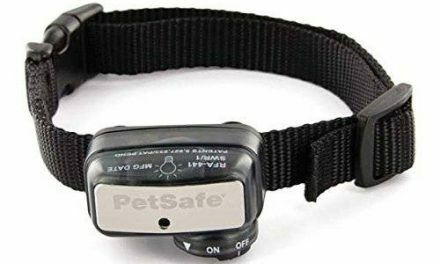 And, this is one of the few companies that caters more to pet owners. Bissell even claims that pets are the inspiration behind the products that they manufacture. The company claims to be the number one choice of pet owners. 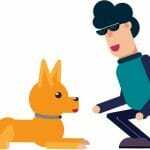 When you purchase a pet product from Bissell, the company will donate a portion of the money to help pets in need. The Bissell Save Pets program will donate at least $1 million in 2018. 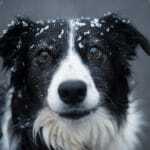 And, the company’s Pet Foundation is designed to help organizations which help find permanent homes for homeless pets. It is possible to donate to the foundation directly. Otherwise, you can just purchase one of their pet products. 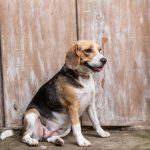 As a pet lover, you can really invest in a Bissell vacuum cleaner that is specifically designed for pets and know that you’re helping a good cause. Is Bissell a good vacuum? You can guarantee that it is. The company has proven to be very consistent! Pets are lovely creatures, but they sure can leave a mess behind. Not only do they shed, but also they could potentially use the bathroom in the home. Regardless, of how well your pet is housetrained, there are going to be some slight mishaps every now and then. This is why it is imperative to have a vacuum cleaner that is capable of removing these stubborn stains and odors. The Bissell ProHeat 2X Vacuum has these exact capabilities and much more. What if there was a pet vacuum on the market that could remove stains, pet hair, and dry debris from your upholstery all at once? That is exactly what the Bissell ProHeat 2X can do thanks to its innovative two in one pet upholstery tool. In addition to this, the tool has its very own disposable tank that is pretty decently sized. Easily switching over to the wet mode allows you to remove those stubborn stains and urine spots. It is hard on the back and body when you have to bend down a spray all those stubborn pet stains. Fortunately, this is something that you can avoid when you invest in the Bissell ProHeat 2X. This pet vacuum comes equipped with a foot-activated pre-treater that allows you to tackle and pretreat those stubborn stains without even breaking a sweat. If you want to make cleaning up after your pet easier consider investing in the Bissell ProHeat 2X. 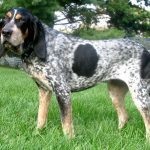 Not only does it come with one of the very best and innovative deep cleaning systems, but it is packed with a variety of other necessary features for the pet owner. Are you sick and tired of dealing with all the pet hair and unwanted stains that your pet is leaving behind? You probably just can’t bear to get rid of your pet or make him sleep outside. However, you do have another option available to you and that is investing in the Bissell Pet Hair Eraser Vacuum. Not only does this vacuum have the capabilities to remove stubborn stains and pet hairs, but also it comes packed with features that will make cleaning even easier for you. Did you know that some vacuum cleaners only utilize one side of the brush roll when in use? Well, that is something that you will never have to worry about when using the Bissell Pet Hair Eraser. Thanks to the suction channel technology this cleaner creates a direct suction path that provides true and pure suction power throughout the entire brush roll. This technology not only removes deep down stains and pet hair, but it does it more efficiently than any other model on the market. Not all homes have carpet, hardwood, or bar flooring. In fact, most new or modern homes have a combination of each and this is why it is imperative to have a vacuum that can tackle them all. That is exactly what the Bissell Pet Hair Eraser can do. It can clean anything from hard surface to carpets or even upholstery. If you want pure suction power along with a variety of other handy features, you cannot overlook the Bissell Pet Hair Eraser Vacuum by any means. The vacuum is super easy to handle, as it offers superior maneuverability. Are you on the market for a vacuum with suctioning power that will remove the debris hidden in your carpet and upholstery? 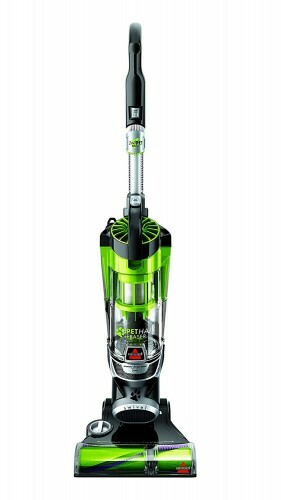 If so, you should not look any further than the Bissell 9595A CleanView Vacuum. This model is integrated with state-of-the-art technology and premium-grade components to ensure easy maneuverability, superior handling, powerful suctioning and convenience. There is no doubt that this vacuum is much more affordable than some competitive brands, without comprising on quality or usability. 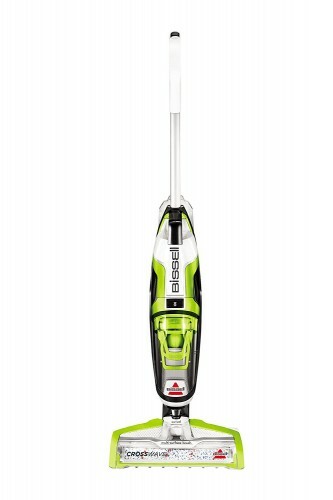 Unlike some upright vacuums, the Bissell 9595A will provide continuous power throughout your cleaning. Loss of power is a major problem that can compromise your vacuuming efforts. This will never be an issue with this vacuum, thanks to its Cyclonic System. The debris bin is designed to offer easy emptying and cleaning. In addition to this, the debris bin is translucent, so you can monitor the capacity without detaching it from the vacuum. Detaching and attaching the container to the vacuum is also a breeze. The 9595A CleanView Vacuum only weighs 15.5 pounds, which is slightly lower than some competitor brands. This is the ideal size for people with back problems and aging adults. You will be able to pack the vacuum up and down stairs with ease. 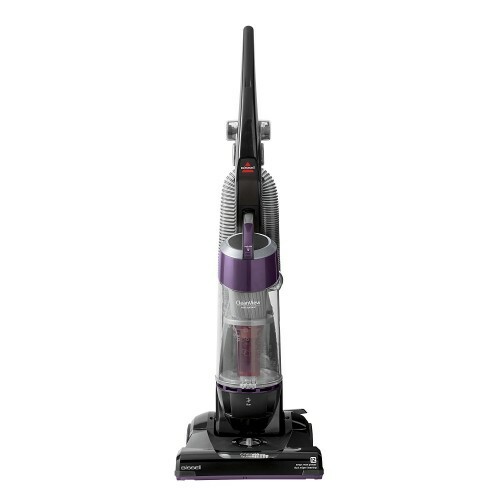 The Bissell 9595A CleanView Vacuum is not only affordable for very lightweight. The suctioning power is continuous and efficient enough to remove debris from every room in your home. For the price, you will not beat this vacuum. If you’re looking for an outstanding carpet cleaner from Bissell, you’ll definitely want to check out the CrossWave. This vacuum is a little costly, but it’ll prove to be well worth the investment in the long run. This is an upright vacuum. This means that you’ll have little to no trouble cleaning your entire house within a shorter period of time. As long as you don’t have stairs in your home, you won’t have to worry about picking up the vacuum either. This will make your job so much easier. Plus, the vacuum is immensely powerful. 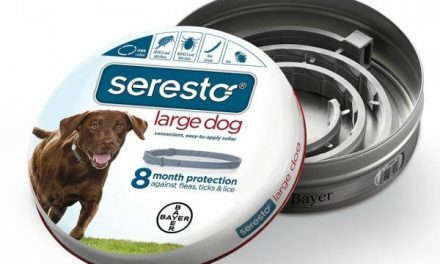 It can get rid of the pet hair that has sunk deep into the carpet. One thing to note is that this vacuum is capable of serving dual purposes. 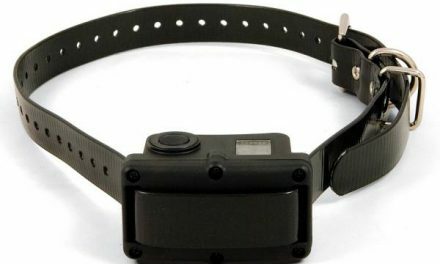 It is equipped with a multi-surface brush roll. It utilizes a microfiber and nylon brush to mop and vacuum up the mess right away. 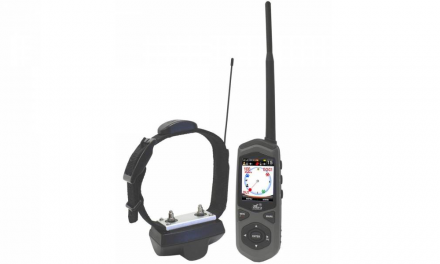 It performs both activities simultaneously. The vacuum is also equipped with a two-tank system. One is designed to hold the cleaning. The other one will hold the dirty water. This means that you’ll be able to get rid of the dirt without defeating the purpose. You should also know that this vacuum comes with smart touch controls. This is very beneficial for times when you need to switch surfaces. There is a button for rugs and one for hard floors. This allows you to switch surfaces at the drop of hat. When it comes down to it, this Bissell vacuum cleaner is great, but it is not flawless. If the cord was a bit longer and more manageable, it would be even better. Nevertheless, it is still worth the price.